If you’ve come across this page you’re probably looking for a pair of the best nursing shoes to help get you through those long shifts. Whether you’re a registered nurse, seasoned surgeon, or an up and coming student, there will come a time when new footwear is required to go with your medical scrubs. Your all-important nurse shoes can be the difference between an enjoyable shift, or ending 12 hours with sore feet and blisters. Also, more importantly it’s the long-term implications of wearing poor quality footwear that matters most. Having a pair of good nursing shoes can help promote proper spinal alignment and posture, thus reducing the risk of foot, knee and lower back pain in the later years of life. So by doing the research now and taking care of your feet, you’ll also be investing in your future. The generally expensive price tags combined with the limitation on style and requirement for the most comfortable nursing shoes tends to throw many men or women into despair when it comes to finding the right pair. However fear not, as we have scoured the web and put together a list of the best shoes for nurses, whether male or female, to help you along your shopping search. Our list of fresh shoe reviews include cherry picked five star contenders which are all fit for purpose and provide the qualities and characteristics required for a full shift, no matter what your job role may require. So, without further a-do, read on for our buying guide and advice on choosing the best nursing shoes for women and men in 2017. 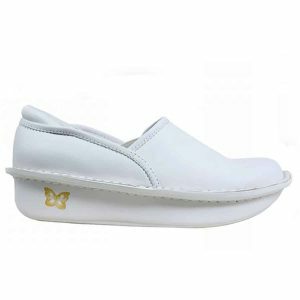 Alegria set out to make some of the best nursing shoes, and they did extremely well with these slip on’s; professionally designed to offer comfort along with sleek looking aesthetics. The Debra comes in nine different color variations including black waxy, black emboss rose, black leather, white tumble leather, flight, blot dee da, buttercup, lizard sheen, and paisley party! They used a synthetic sole with a leather upper portion. The height of the heel is 1.5″ tall. Like most of the other best shoes for nurses, this too is a closed toed design which is a much appreciated characteristic, and ensures that you will not get any excess bodily fluid on your feet. The inner cushioned pad of the Debra offers an amazing amount of support and unmatched level of comfort whilst also being one of the best brands of shoes for standing all day. These Mary Jane’s are fast becoming one of the most popular choices among colleagues in all departments. The trendy design is ageless; you can wear these at work or after hours too, and at such a great price they’re hard to resist. However what makes these among the most comfortable nursing shoes for women fit for purpose is the ultra soft leather interior which helps promote good foot health by keeping moisture away in order to keep feet dry. The Alegria Paloma molds to the contours of your foot for ultimate support, which also makes walking more comfortable. Like most of the others here, the removable insoles come with great arch support, and there is plenty of room in the toe box too. A flat cushioned rubber sole provides plenty of traction which is also engineered to aid proper posture and gait by maximizing contact with the floor. Overall a great choice which will not disappoint. In terms of cost, when it comes to cheap nursing shoes you can’t get much better than these clogs. That doesn’t mean they are of inferior quality in any way whatsoever, they are in fact a durable set of squeak-free slip resistant clogs which are extremely popular among students and doctors alike who require medical shoes. The AnyWear’s are waterproof and easily washable, extremely lightweight, flexible and also have removable insoles which is great for upgrading to orthotic inserts if required. They fit perfectly as expected and are known to be very comfortable, even during a 12 hour shift. Priced correctly and proven by our reviewer to hold up well, even after months of battering around, these should keep you happy. In a nutshell, the Professional from the hugely popular range of Dansko nursing clogs are a saving grace for those hard-working people who are on their feet all day. The dual-density memory foam insole absorbs much of the shock from walking on hard surfaces, and being removable allows for custom orthotics if required. The hard-wearing and slip resistant synthetic outsole consists of a comfy 0.75″ platform and 1.75″ block heel which combine to give lift and improve posture. Not only are these slip-ons beautiful being made of a supple leather upper with a classic clog look, they are unrivaled in comfort, lightweight, durable and sturdy making these Dansko’s some of the best nursing shoes around and a highly recommended purchase for 2017. Trendy enough for work or casual wear and available in a plethora of different style and color combinations, although these aren’t the cheapest on the market, they are nonetheless top rated. Grasshoppers are a company that designs footwear for fitness orientated woman as well as producing high quality nurses shoes. The material used to build the Stretch Plus is man made, and is manufactured with a rubber sole which has a heel that is 1.25″ tall. It comes in three very distinct colors including black, white, and stone and has a lacing function that ensures it will fit tight to your feet. Also, it features a soft padded tongue with a cushioned collar to support the back portion of the feet snug. For those who have special requirements, you’ll be pleased to know that these stylish Grasshoppers also come in narrow and wide fit. If running shoes aren’t quite your thing, these are an extremely comfortable alternative and make a stylish pair of sneakers for nurses of all ages. Natural Uniforms makes, designs, and manufactures footwear specifically for the professional in medical environments. The Ultralite Strapless clogs are made of a synthetic lightweight EVA foam material which makes wearing all day a complete breeze, you’ll not notice them dragging on your feet throughout those long shifts. The upper is not only extremely easy to clean but also offers a very special perk as it’s a bacteria resistant product. These are durable and very comfortable nursing shoes, offering great value for money, especially with additional characteristics such as the slip resistant and non-marking sole. This one comes in two colors, a very simplistic black or a very bright white. Nurse Mates are renowned for making some of the best shoes for nurses, and no doubt that’s why the Doves made our shortlist. The Dove slip-ons we reviewed ran exact, and after a 12 hour shifts you’ll be sure to have no complaints whatsoever; extremely comfortable and well worth the money in every sense. They are extremely light, and have no problem gripping in wet or dry as the long wearing, non squeaking out soles provide all the traction you’ll ever need in the workplace. The stain resistant leather upper is easily wiped clean and comes in white, black, and metallic navy so a good choice of colors if you require. The removable insoles are a great addition especially if custom orthotics are required. Yes these are relatively cheap nursing shoes on sale at the lower end of the spectrum, but they easily compare to some of the most expensive out there. Not bad at all for the price. Skechers are known across the globe as a company that puts out affordable yet high quality footwear for daily and professional use. Unfortunately this version only comes in one color however it is offered in what is probably easiest color to match with, black. For the Sure Track, Skechers used imported synthetic leather with a rubberized sole for those times when you need that extra traction. The relaxed fit design means that when you are in motion these particularly good shoes for nurses will stay molded to your foot. It comes with memory foam cushioning to make sure that you can wear during your entire twelve hour shift and still be comfortable. Skechers is on the list again and it should come as no surprise. The Premix is designed to be put on easily with a slip on feature which is very advantageous in the medical environment. When it comes to uniform and attire, color can be an issue for some; Skechers offers these ideal nursing sneakers in two different color variations which are white, or white with navy details, and also comes with polished hardware with perforated panels. The heel is cushioned with air to offer one of the softest, supportive and most comfortable insoles available – a big bonus when it comes to standing for long periods. The outer sole is composed of rubber and is of course slip resistant which is extremely important or nurses. The best nursing shoes for women which are made by big brands aren’t always the cheapest options, but they are priced this way for a reason; the Timberland PRO Renova Professional slip on is one of those which you won’t mind paying that little extra for. The anti-fatigue technology offers all day standing comfort, leg and back support, and superior shock absorption. A full-grain white leather upper and synthetic sole combine utmost comfort with plenty of grip. Timberland say this range was created to address the specific needs of those who work in the healthcare industry, and so what more could you ask for, a big brand targeting a specific niche means they have probably spent huge amounts of money on research and development of these perfect nurses shoes, which has reflected positively in all who own a pair. Offering a 30 day comfort guarantee, the PRO Renova slip-ons come highly recommended. 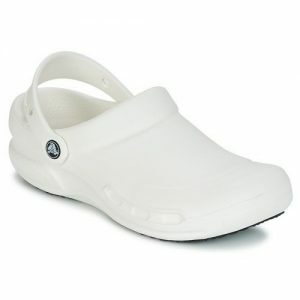 Crocs is a name that any medical staff are sure to know; the company is known for creating some of the best shoes for nurses, making them easy to clean, comfortable and designed to accommodate every day usage. The Bistro Clog comes in three different color variations which are black, white, and a navy blue. Crocs used man-made materials when manufacturing this shoe and a synthetic material for the sole, making them lightweight, durable and easy to wipe down after any spillages. There is a 1″ high shaft that protects much of the feet, unlike some other clogs which leave part of the foot open to exposure. Crocs used their classic design with a heel strap and a soft cushioning massaging inner foot sole which is very popular in medical institutes. The KEEN Utility PTC has been created with the long working shift in mind, and what they achieved when creating this product is one of the best nurses shoes on the market. The Utility is designed to ensure the wearer does not slip on any unseen substances while performing their normal daily activities. KEEN used imported leather as the upper material and a Mark II non slip rubber sole that meets and may even exceed the American Society For Testing and Materials (ATSM guidelines). The inner sole is memory foam material to act as a soft conforming cushion for your precious feet. It only comes in a sleek black color but it is sure to match your scrubs. KEEN Utility wanted to make this particular model easy to take on and off, so they made it a slip on. As a nurse you will surely appreciate this little fact because it is easy to remove without getting your hands dirty, especially after coming home to family after an extremely long and tiring day. An extremely popular pair of slip-ons, the Merrell Jungle Moc men’s nursing shoes are composed of imported leather with a rubber sole, and a heel that measures in at 1” inch of height. The easy slip on design makes getting ready for work extremely easy. A padded collar composed of supple leather will ensure they fit like a dream. These shoes contain a flexible comfortable insert that is made to be replaceable adding a longer lifespan overall. The sure grip out sole designed with a cutting edge distinctive pattern of specialized grooves ensures that you will not be slipping and sliding all over the place even when dealing with spillages or other lurking dangers. The shipping weight comes in at an impressive 1 pound meaning they are one of the lightest around. These impressive slip resistant shoes come in three distinct color variations of a rich deep black, a dark strong brown, and a glowing espresso color making them suitable for most tastes. Overall these are widely considered to be one of the best nursing shoes for men in 2017. These sleek modern black nursing shoes are sure to turn more than one head. MOZO used an imported synthetic material to build this shoe and to ensure the wearer’s comfort the company used a dual insert insole. The rubber outer sole offers a slip resistant traction so that you are sure to keep your footing in all areas and conditions. One thing that I really liked about this in particular was the looks. Yes they are slip on style but they don’t look like your average shoes for nurses. The Sharkz are commonly used as kitchen shoes too because of their hygienic build and well-known for their comfort. Combine this with the fact it really sticks out aesthetically, I am certain you would be pleased to have these adoring your feet. 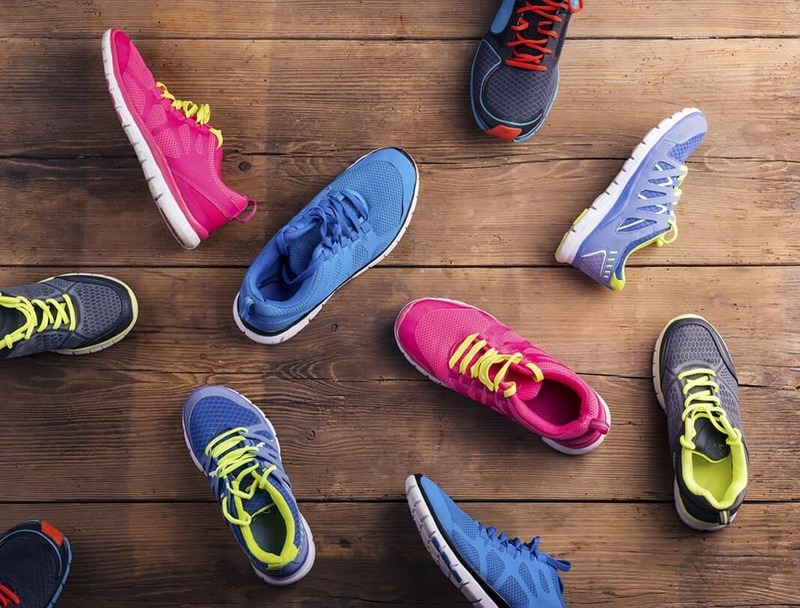 New Balance shoes are predominantly known for making some of the best running shoes for flat feet, but this isn’t all they create. So with the MID526 they set out to make and deliver one of their best nursing shoes yet. Being up front it does only come in ebony black, which is quite restrictive. They used imported leather in the design of this shoe which is of the highest quality, durable and lightweight. Unlike most others on this list, it is lace up and not slip on, which may not be preferred by everone, but we thought to add this variant in the mix anyhow. To make sure that your heels are protected they placed a padded collar around the edge of the shoe – New Balance also was sure to use an IMEVA midsole for all day comfort. The safeTstep Blast Runner are an ideal set of nursing sneakers which are composed on leather and a breathable mesh layer that offers comfort twenty-four hours a day, seven days a week. They are designed to be worn in any environment and offer a water resistant surface that repels liquid with ease. The outsoles are slip and oil resistant that will make sure the wearer stays on their feet whether in the Emergency Room or the Intensive Care Unit. The mesh layer ensures that a cool breeze will reach your feet and keep you cool. The laces are designed for snug fit with a padded tongue for extra comfort. Users have reported that these shoes do fit as expected so feel free to order your normal shoe size. The insoles are removable and can be replaced with your preferred insole. Trendy in design and very practical too, they make a great pair of men’s nursing shoes without a doubt. These stylish running shoes make a great pair of nursing sneakers due to the imported synthetic material upper and the rubber slip resistant sole. Featuring a soft layer of supportive and breathable mesh means the wearers’ feet to stay cool throughout. The rubber traction covers are placed in locations so that it will protect the wearer from impact situations. There is also a line of EVA that runs the full length and offers a custom fit feel that is different for any and all individuals. If color isn’t an issue, this particular model comes in six vibrant colors that ensure you will be able to find just the right pair that fits your personality. Under Armour used their specialized Micro G foam that promises cushioned landings and explosive take-offs to help keep even the tiring nurse bouncy on his feet. The Skechers Balder men’s nursing shoes are trendy pair which is composed of synthetic leather with a rubber sole. The footbed is designed with shock-absorbing padding that is sure to withstand the abuse of any shift. The slip resistant outsoles are OSHA complaint and are designed to ensure that you will stay on your feet no matter the environment. The research and developers of these at Skechers were thinking about the wearers comfort and hygiene by inserting ventilating ports on the side of shoe. The slip on design ensures that getting on the go has never been easier. Users have stated that these nursing clogs may appear rigid but offer an unparalleled amount of comfort making them a worthy choice for purchase. If there was a reward for company with the most reviews on this list it would have to be none other than the world renowned company, Skechers. This model was designed from the beginning for working professionals; aptly named it even has “for work” in the name. It comes in two opposite colors which are black and white. The material used for the upper is imported leather that offers easy to clean surfaces, durability and long lasting comfort. Combine this with a rubber sole which offers traction in the form of slip resistant outsoles, you have a more than adequate set of footwear ready for your shift. The inner sole is composed of an EVA foam cushion which is common with high quality sneakers, and is removable for easily cleaning and replacement. You are sure to be happy with these Skechers for Work upon making your purchase. These men’s nursing shoes are composed of imported rubber with a synthetic sole. It is a traditional slip on designed with comfort in mind, and has a low impact heel that works to prevent any pain associated with standing on your feet all day long as most in the medical field are prone to do. This particular shoe comes in two distinct colors which are a deep black, and a glowing vibrant white. The slip resistant tread is a signature design by the DAWG Company called “Tracker Tread” that works to cover arch support and gripping action in any situation. The padding is extra reinforced to ensure the comfort of the wearer throughout the entire day no matter how long you end up on shift. The shipping weight of is 2.6 pounds, so as you may have guessed these particular nurses shoes are extremely light which is always a bonus. Depending on which country, state or department you work, some medical institutes are much more lenient with uniform than others. 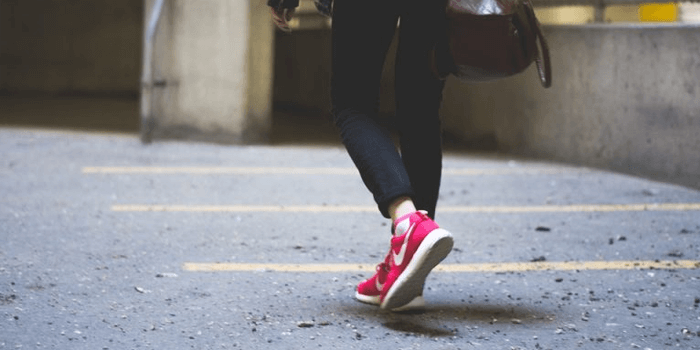 Therefore, if you work in a particularly fast-paced department, or perhaps suffer from back pain, heel pain, flat feet or plantar fasciitis you may want to ask your employer if they’ll allow you to wear sneakers. Nursing sneakers are literally most commonly running shoes or tennis shoes of any brand. They are great because manufacturers have designed and produced these for long lasting and continual usage whilst providing utmost comfort, which is exactly what a nurse needs during those long tiresome shifts. Slip-on nurse shoes are perfect for a busy environment where there is no time to worry about tying laces or securing straps. Also, the added danger of undone laces getting caught in casters, or picking up any unwanted spillage in your laces doesn’t sound too appealing right? Whether it’s to wipe them clean before or after shift, or even to just air them for a few minutes whenever possible, swiftly taking on and off is fairly common practice for most nurses. When it comes to footwear, a comfortable and reliable pair of slip-ons are definitely a nurse’s closest friend. They tend to be cheap and effective at providing the required comfort, support and anti-fatigue that’s required to fulfill even the longest shifts. Immortalized by the likes of Crocs, Alegria, and Dansko Professional clogs, these types are extremely common and for good reason too. Stylish and comfortable due to their open back and spacious front, they allow for plenty of ventilation, provide pressure point relief in the foot, and additionally promote good posture and gait. Also, considering a slightly wider toe box is almost default in clogs, they tend to be among the most popular choice of best shoes for bunions for those experiencing the deformity, which may have appeared through years of previously poorly fitted footwear. Nursing clogs have always been a popular choice throughout history and things don’t like they’re about to change anytime soon. Mary Jane flats aren’t a bad option when it comes to selecting a pair of good nursing shoes. Generally easy to put on and take off, they are convenient and comfortable too. Although good, they are not exactly the number one voted choice as best nurses shoes, unfortunately, simply because a large part of the upper foot is left exposed due to the strap design. Too much bare exposure can lead to unwanted spillages on your feet which is not advisable. However, if you tend to work as an office or school nurse then these just may be the ones for you. It goes without saying that the best nursing shoes for women and men alike are ones that provide plenty of support and balance to keep those feet strong, protected and healthy throughout the lengthy shifts. Most footwear designed for this industry has tailored features which cater for moving safely on hard, slippery surfaces, altogether whilst combining each of the other characteristics to deliver a fine medical shoe which is fit for professionals. These two properties are paramount because sore feet are usually caused by inappropriate padding and lack of comfort, and so can be avoided if wearing comfortable nursing shoes. Comfort and padding can be achieved in many ways ranging from the kind of material used for the upper to the inner architecture of the heel box, arch support, and size of the toe box. 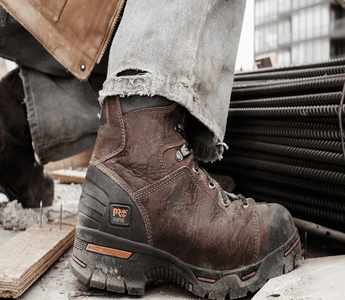 Reliable slip-resistant outsole grips are essential for wet and dry conditions enabling the ability to move quickly and confidently without harming yourself or others. The most common outsoles are either rubber or manmade (synthetic) but can be polyurethane too. Each is as good as the other; if anything you’ll notice more a difference in price as opposed the noticing a degradation or improvement of grip. Plenty of airflow is important; for example, wearing the same nursing clogs for 12+ hours in some cases can cause very sweaty feet, which not only could lead to embarrassingly smelly feet but also make way to infections like athletes foot. Odors and hygiene aside, keeping your feet cool is almost paramount for some people, especially for those who suffer from conditions such as burning feet as a result of diabetes or certain vitamin deficiencies. The outer material (sometimes known as the upper) is very important; generally, it’s the white leather nursing shoes which are extremely common as they allow the feet to breathe freely unlike synthetic options. The leather is also very durable and comfortable, plus easily cleaned too. However, if you’re after something cheap with the intention of replacing regularly, leather may not be the ideal choice selection for you. There are also rubber types which are perfect for the medical industry as they are much cheaper and provide better safety for spillages, but on the downside, they’ll offer less ventilation and comfort than leather counterparts. So it is important to find a balance between price, support, comfort, and ventilation. The fit should be as expected. What this means is when you buy a U.S size 6 for example to match your sneakers and pumps, the size 6 nurse shoes you bought should have the consistent same fit as everything else in your shoebox. Occasionally with some manufacturers, a U.S size 6 may fit too tight or too loose, so that would mean it’s not true to fit. This characteristic is usually measured as a percentage, and the higher the figure the better, because this means that more people voted for the fit, as opposed to against. If you have a foot condition and perhaps already own a pair of the best running shoes which you could potentially wear to work, or maybe your podiatrist recommended plantar fasciitis shoes aren’t suitable healthcare industry attire, ideally you should seek to buy footwear with removable insoles. Most types of footwear nowadays come with the ability to remove the current insole, however, if this is something which you’ll be doing, it’s worth querying and not assuming that the insoles are removable. That way, for example, you can be sure to swap the standard insoles by purchasing your own arch support inserts to compensate buying a pair of plantar fasciitis or flat feet shoes (or wearing the unsuitable ones which you already own). The ability to adjust the interior comfort of your shoes to custom fit is an option you are sure to be grateful for whilst working through those long shifts. Color may or may not be of importance. Most health institutes will state that part of the uniform is to wear white nurse shoes. This is most common in school and generally is just tradition which harkens back to times when in the US they wore all white. Lots of places no longer require white footwear, and can often be any color provided they meet health and safety requirements and also have a closed heel. Most branded versions are available in a multitude of colors to cater for everyone. Nurses as a whole tend to desire the ability to express themselves through their shoes. It is not uncommon to visit the emergency room and see a vast number of color variation in the nurses’ shoes.